Iowa Workers’ Compensation Disputes and Settlements | Hupy and Abraham, S.C.
Each year approximately 20,000 Iowa workers are injured in work-related accidents. The majority of these workers’ compensation cases are resolved when a worker makes a claim and the insurance company pays the claim. However, sometimes disputes arise over whether the employee was hurt in a work-related accident and what benefits the employee should receive. In fiscal year 2016, 5,008 dispute petitions were filed in the Iowa workers’ compensation system and 713 cases were decided by the state, according to a March 2017 report in the Des Moines Register. If you have a dispute with your employer or your employer’s insurer, then Iowa law provides you with specific steps that you can take to resolve the dispute. Ask your employer or your employer’s insurance company for the reasons supporting the denial. If you have evidence disputing the reasoning behind this decision, then you can provide that evidence to your employer or to the insurance company and request that it reconsider its decision. 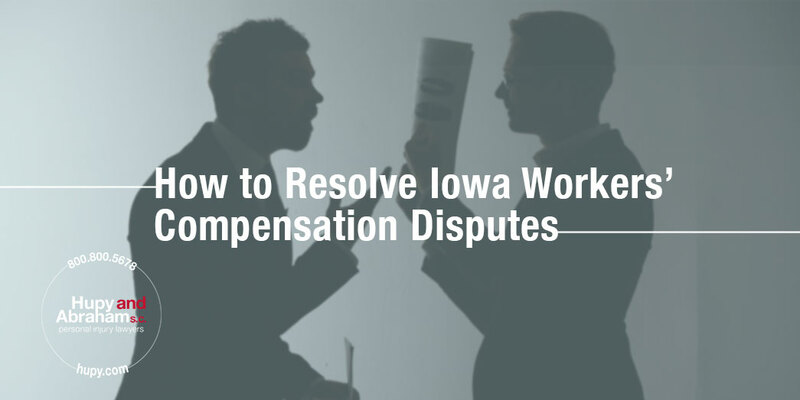 File a contested case proceeding with the Iowa Workers’ Compensation Commissioner. The commissioner’s office may use a variety of methods to resolve your claim, including mediation or alternative dispute resolution. At any time you have the right to contact both a compliance administrator in the workers’ compensation commissioner’s office or a private workers’ compensation lawyer. You can be confident that the insurance company has adjusters and attorneys working to look out for the insurance company’s rights—and you deserve the same advantage. To learn more about your rights and about how a workers’ compensation case works in Iowa, please contact us any time—24/7/365—for a free consultation. We will work hard to get you the workers’ compensation benefits that you deserve in a disputed claim.